Lot 429. 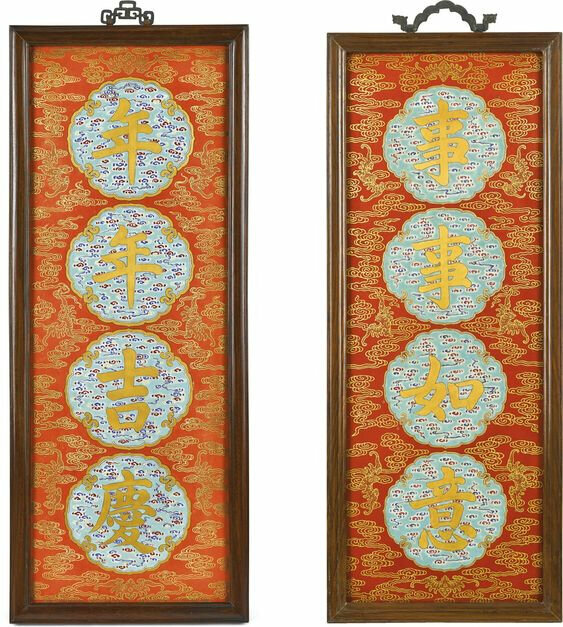 A rare pair of imperial iron-red and gilt-decorated panels, Qing dynasty, Qianlong – Jiaqing period (1736-1820); 75.6 by 30.2 cm, 29 3/4 by 11 7/8 in. Estimate 200,000 — 300,000. 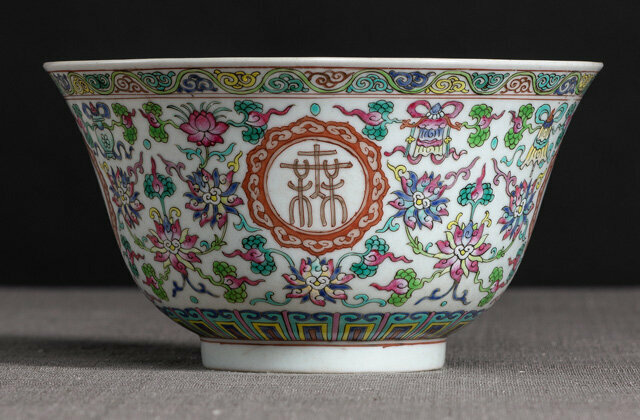 Lot sold 3,840,000 HKD. © Sotheby's. each rectangular panel decorated with four foliate cartouches, enclosing auspicious idioms reading nian nian jiqing ('happiness and joy year after year') and shi shi ruyi ('everything be as one wishes'), against a turquoise ground decorated with multi-coloured clouds, all reserved on an iron-red ground and surrounded by bats and clouds, the inscriptions and outlines picked out in gilt. 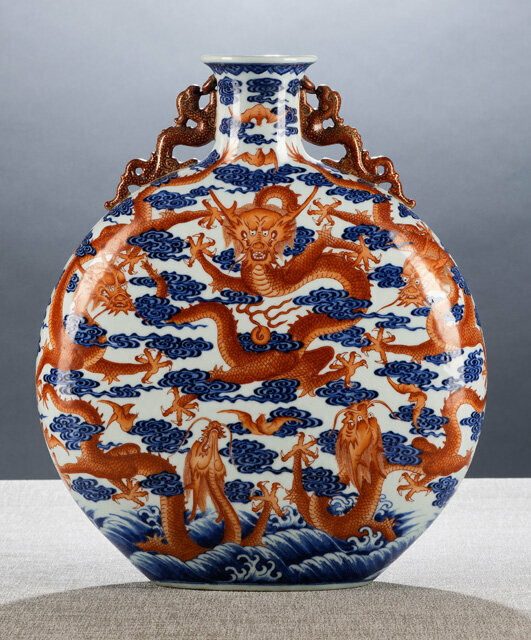 Note: Similar plaques include a pair from the Qing Court Collection, now in the Le musée chinois de l'impératrice Eugénie, Château de Fontainebleau, France, also illustrated in an 1863 photograph by Pierre-Ambroise Richebourg (1810-1875) 'Vue du Musée Chinois: composition d'objets chinois dans le salon'.